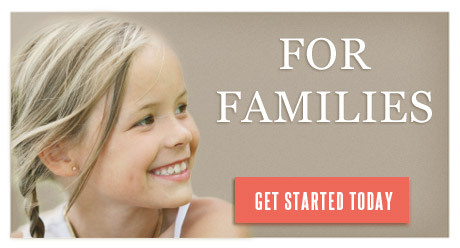 Permanent placement nannies commit to your family for periods of time greater than 6 months. These nannies may live with you or commute daily to your home. Temporary placement nannies are with a family 6 months or less and help families bridge gaps between life events and other childcare arrangements. Babysitters require no long term commitment and may be used as needed for date nights, running errands without children, and sick days for you or your children. We are so glad you are here and hope you will allow us to help you find the best care for your home and family. It is our goal to personally meet and get to know every nanny and family, so that we can match you with the perfect fit! You will never find with us a phone match or (gasp) worse, something done only via text or email. This is your family we are talking about and we take it very seriously! Our daughter’s face lights up when Dinah walks in the door. In fact, she often asks us when she is coming back and asks to call her. She teaches my daughter songs and games that my daughter sings and plays with us. When I leave the house I know my child is in excellent hands and that is really the key to being able to enjoy your evening away. Hutson Nannies has been a lifesaver for our family. We are so grateful that we were able to find qualified nannies with very short notice that offered such wonderful childcare. It’s so comforting to know your children are in such excellent hands. We’ll definitely continue using their services. I send everyone I know to Hutson Nannies. The owner is fantastic to work with and there is no doubt that your little ones will be well cared for. 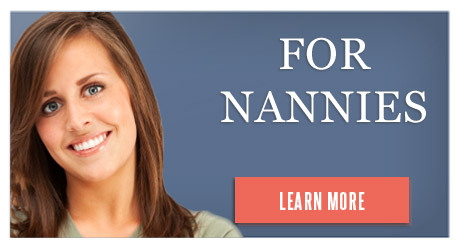 If you are looking for dependability, professionalism, and sincerity, then Hutson Nannies is the way to go. Dinah is exceptional. She doesn’t just care for the children. She cares for the whole family. It’s so refreshing to have someone go the extra mile in this industry. Dinah has been a God send to our family. The kids love and respect her. She is so caring but also firm and I know that the nannies she hires will be smart, funny and just stern enough that you will never come home to a freakish mess nor to unruly kids that have had the run of the house and the nanny. We love Dinah and I trust that she will pick the best nannies because knowing Dinah; she sets high standards for herself and will for those whom she hires. I only hope she doesn’t get so busy that she has to leave us. Dinah started this career, almost 20 years ago, babysitting my kids. I was instantly amazed at the knack she had for discipline, yet they always had fun! At 21 and 23, my girls still look to Dinah for sound advice and have a unique friendship that has helped them greatly through their teen and college years. I love that my kids have a great Christian role model with strong moral values. Her character and interpersonal skills will ensure your satisfaction with Hutson Nannies! Dinah Hutson is an amazingly trustworthy babysitter! I have used her many times, and have been able to enjoy a little adult time knowing she is holding down the fort at home! She comes HIGHLY recommended by me. I am so excited about Hutson Nannies! I have known the owner for 2 years and she is one of the most hard-working, genuine, and caring people I know. I know her company to be trustworthy and have the highest level of nannies. My 15 month old loves her and she is so wonderful with babies and kids! She puts in hard work for every match. I have known Dinah both personally and professionally for almost 10 years. Personally, she is loyal, trustworthy, ethical, and an endearing friend. Professionally, I have found her to be extremely intuitive with people, hard working, optimistic, and committed. She never falls short of giving 100% in either category. She is a gem to work with, and an honor to have as a friend. Our 18 month old adores everyone she has met from Hutson Nannies. We have found them to be trustworthy, caring and innovative. Piper just loves when we have them come because she knows she is going to have a great time.